Feedback is at the heart of professional development. Even the best employees can benefit from a third-party perspective on how well they’re doing in their role. Unfortunately, many managers struggle with providing the right feedback to their staff. It’s difficult to tell someone that they need to improve or let an employee know that you’re not 100% happy with their performance. However, studies show that lack of communication may contribute to around 86% of all workplace issues. 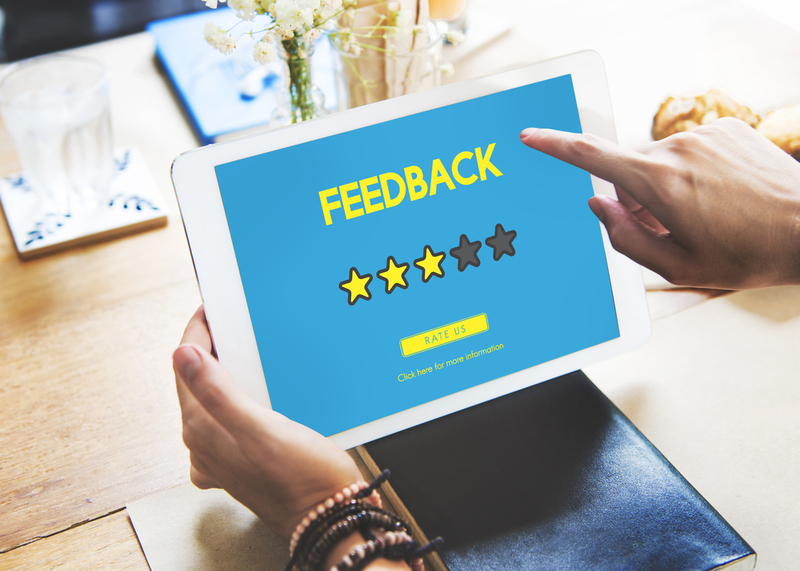 Though giving and receiving feedback can be uncomfortable, it’s also an essential way of empowering your team, driving productivity and improving collaboration in the business. Here’s how you can give your people feedback they’ll appreciate. Criticising someone in public both harms that person’s confidence and makes the rest of your employees feel more nervous about taking risks at work. Though positive feedback given in a public setting can empower and motivate your teams, many employees would prefer receiving praise in private too, as they’d rather not be the centre of attention. Arrange a one-on-one meeting with the employee you need to speak to or go for a walk outside of the building to create a more informal, relaxed atmosphere. Sitting down over a coffee and saying something like: “These accounts weren’t delivered on time this month. That’s not like you, do you have any idea what happened?” is a great way to ensure your people don’t feel attacked. Telling someone “You lost us a client!” isn’t helpful. Employee feedback needs to be task-focused and clear so that your people can learn from their mistakes. Work together with your staff member to find the root of the problem and plan an actionable way to fix it. This way, you show that you’re invested in your employee’s career plan, which makes them feel more committed to their role. Remember to plan a date when you can follow up and make sure that the staff member is moving in the right direction. Just telling your people what they are and aren’t doing well isn’t enough to promote real change in your business. Employees need to see how their behaviour is affecting the outcomes of the company, and their progress towards their own goals. When your staff can see how changing their actions will affect their future, they’ll be more likely to appreciate the feedback. Studies show that organisations with regular feedback strategies see a 14.9% lower turnover rate. Go beyond the annual review of employee performance to provide feedback on a more consistent basis. Remember, every discussion you have with your staff doesn’t need to be a full-on review. Discuss issues as soon as they happen and find a quick way to resolve the problem. The goal of consistent feedback is to help your high-performing financial teams improve their work. Focusing too heavily on criticism, without discussing the positive things you’ve noticed about your employee’s work can leave them feeling demotivated. Let them know you appreciate their hard work, even when they make mistakes. After all, no-one can be perfect all the time. Fostering an environment where employees feel safe taking risks for the benefit of the business is a great way to keep your financial company agile and innovative. Finally, remember that your team members need to feel as though they have a voice in your business too. As well as providing your people with feedback on their work, give them a safe space where they can offer insights into improvements in management, and the company overall. Creating an environment of mutual feedback will improve employee satisfaction by letting your people know that you value their thoughts. Additionally, learning what your people like and dislike about your organisation means you can create a more attractive employer brand. As complicated as feedback can be, by following these 6 strategies, you’ll tap into a more motivated, confident and focused workforce.